Whether you have 10 minutes or 30, you decide! Each carefully crafted unit comes alive with vocal play, focused listening, instrument play, fingerplay, storytime and more! 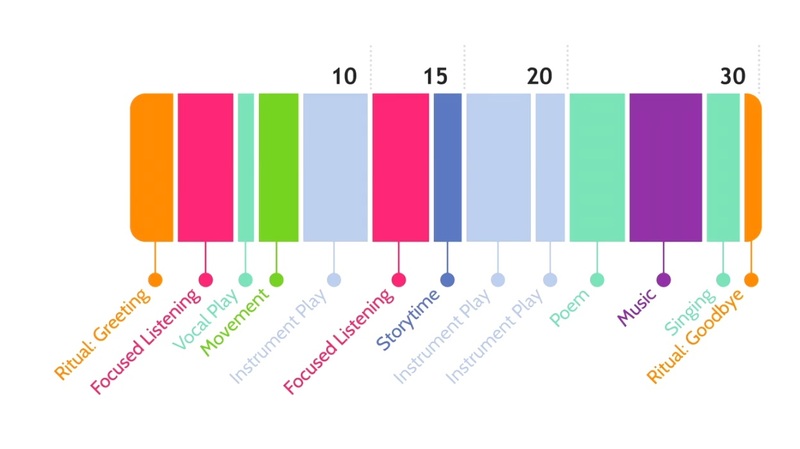 Kindermusik is designed to connect with every child’s unique learning style. Classroom teachers become an extension of Kindermusik as they lead children through playful, interactive, and developmentally appropriate music and movement activities. Our all-inclusive curriculum kits and Teach-Along audio systems provide tools that make it easy for teachers to facilitate while participating in the activities, assessing their students, and having fun. Lesson plans are intentional and developed using a tested and repeatable formula. Individual activities within each lesson, such as greetings, storytime, and instrument play, are strategically placed for maximum engagement. The establishment of repetition and rituals allows children to take comfort in knowing what’s coming, encouraging creative participation within the established framework. Home Sweet Home is a timeless fan favorite! Children are introduced to early music concepts age-appropriate activities that foster independence, social and emotional skills, language growth, and self control. So up and at ‘em, there’s work to be done all around this great big house (or den, or nest, or burrow!) Turn everyday tasks around your Home Sweet Home into fun!